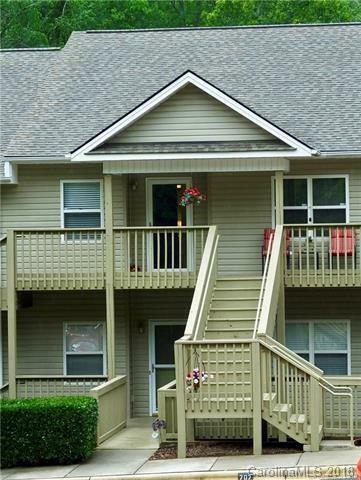 Immaculate 2 bedroom/2 bath Caryle Condo in South Asheville. Upgrades include engineered hardwood flooring, berber carpet. crown molding. new refrigerator and over the stove microwave.. hot water heater replaced in 2012. This is an incredible opportunity to live just minutes to all the restaurants and shopping on Hendersonville Rd and then.... just a hop, skip and a jump to downtown Asheville...A must see..Final price reduction given for immediate sale. Sold by Apple Country Realty Llc. Offered by Laurel River Realty/Rentals. Copyright 2019 Carolina Multiple Listing Services. All rights reserved.